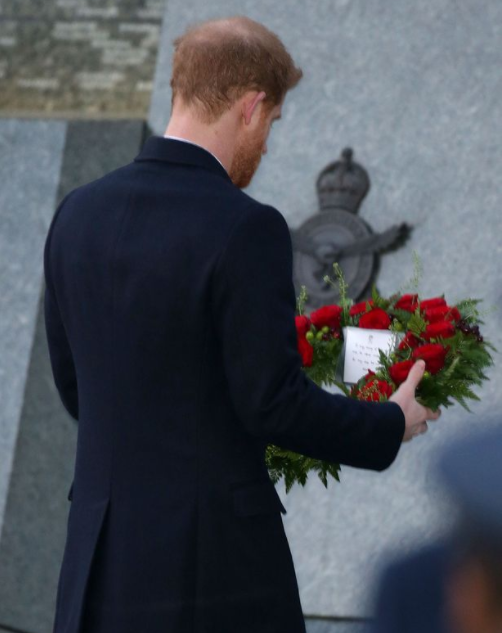 Prince Harry and Meghan Markle looked sombre as they arrived at the New Zealand war memorial near Hyde Park in central London for an Anzac Day dawn service. Anzac Day – April 25 – marks the anniversary of the start of the First World War Gallipoli landings, and is a national day of remembrance for Australia and New Zealand. Thousands of Anzac troops – Australian and New Zealand Army Corps – died in the ill-fated 1915 campaign on the Turkish peninsula. The Dawn Service was held at Wellington Arch in central London. 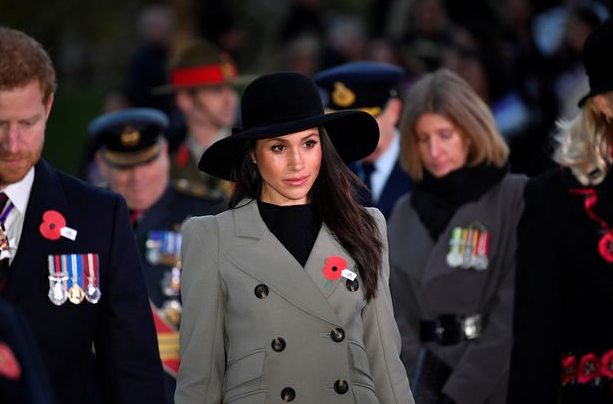 It was attended by hundreds of Australians and New Zealanders and Prince Harry and Meghan were welcomed by Te Ataraiti Waretini from Ngati Ranana – the London Maori Club – with a traditional hongi, the soft pressing of noses and the sharing of each other’s breath. 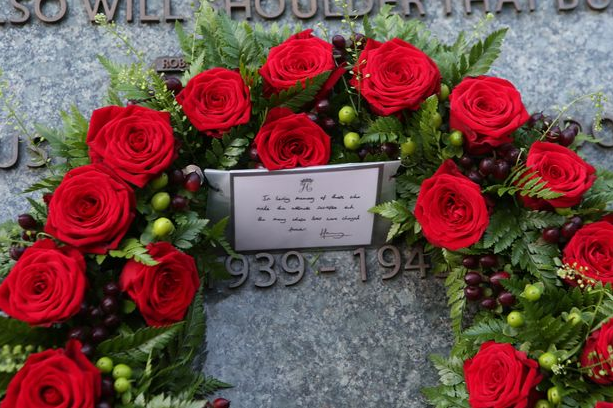 The service began at the New Zealand memorial where Harry, a former army officer who served for 10 years in the forces, laid his floral wreath at one of a group of metal crosses near Wellington Arch in central London. 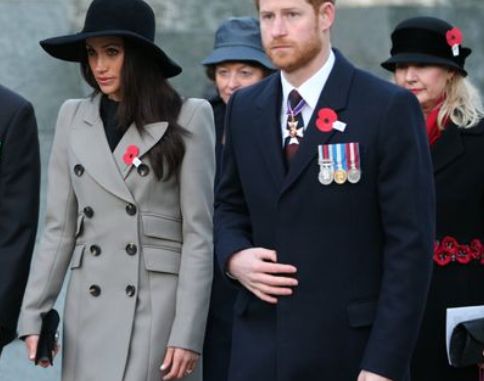 During the ceremony, Meghan Markle was filmed trying to hold her emotions. She can be seen batting her eyelashes to keep the tears from falling. 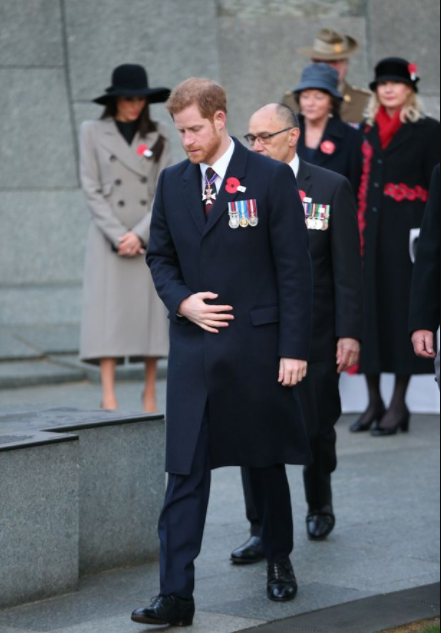 The prince, Ms Markle and Sir Jerry Mateparae and Alexander Downer, the high commissioners of New Zealand and Australian respectively, will then walk to the nearby Australian memorial, where Harry will lay another wreath and sign a book of remembrance.